Fluoroquinolones are broad-spectrum antibiotics that have been used to treat infections of varying types and severity since the 1980s. They are well-tolerated by most patients; however, a growing body of evidence has linked fluoroquinolone use to rare but disabling, and potentially permanent, side effects involving tendons, peripheral nerves, and the central nervous system (CNS). Cardiac, gastrointestinal (GI), metabolic (glucose), and ocular side effects, as well as allergic reactions, have also been reported. In May 2016, the FDA determined that the risks of fluoroquinolone use for certain uncomplicated infections are generally greater than the benefits when other treatment options are available. Subsequently, the labels of all systemic (oral and injectable) fluoroquinolones were updated with strengthened warnings, including a revised boxed warning. 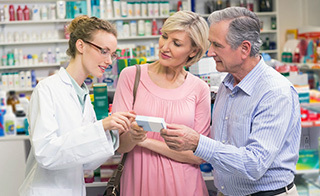 The revisions include "limitation of use" statements advising that, in the treatment of acute bacterial sinusitis, acute bacterial exacerbation of chronic bronchitis, and uncomplicated urinary tract infections (UTIs), fluoroquinolones should be reserved for patients who have no other options. Name 3 infections for which fluoroquinolones are indicated and describe the usual adult dosing regimens. Provide generic and brand names for the 5 fluoroquinolones available in the US. List 4 common, nonserious side effects of fluoroquinolones. Describe 5 serious fluoroquinolone side effects, and list risk factors that may predispose individuals to them. Describe allergy concerns and 4 drug interactions that occur with fluoroquinolones.